"Preparing children to live life uniquely, unrepeatably, responsibly, and admirably; and to be unconditionally accepted as one of life's most marvellous expressions." We respect that an important responsibility parents have, is to make decisions to determine the best environment in which to place their child at this most sensitive time in their development. The values and experiences presented to the child now will have the greatest influence on shaping their character as an adult. Everything they are exposed to will create an impression in their mind and Montessori supports this in the most positive way. We aim to support parents in this decision-making role with an offering geared to the development of your child’s natural human tendencies and developing characteristics. a child’s potential in any area. Using good judgement and being able to take responsibility for our choices is a skill that is developed by experience and is one of the fundamental principles that is embedded in all our programmes, even from 3 years old. Our approach to life and our personality is developed at such a young age; our Montessori programmes are here to support the growth in academic and authentic character development through all these childhood years. Children will have access to a full academic curriculum, have the benefit of a large outdoor environment, and will be embraced with respect and modelled etiquette. The values used in our Montessori programme help to create a community where friendships are valued and communication is open. You will always be welcome to ask questions and request information. 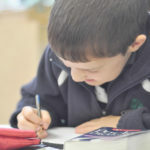 We belong to national and international networks within the Montessori community and aspire to be a world class school. We have stable and committed educational leadership and will continue to achieve our goals with the ongoing support of you all. Parents who are first considering Montessori often have many questions, we hope we have provided information to help you decide if we are a good match for what you are looking for. Our goal is to help every prospective family make the best decision possible about their child’s long term education. A decision to enrol a child should be based on the parents’ and school’s mutual belief that this will be a good fit for the family’s values and goals. We look forward to working in partnership with you as your child discovers the joy of learning in the Montessori way. We welcome your application for enrolment and encourage you to ask about any questions you may have. Dr Montessori observed…that human development occurs in planes; periods with distinct physical and psychological characteristics. The child’s capacity to learn from birth to 6 years is like that of a sponge, soaking in knowledge from all senses. The Waikato Montessori Education Centre is owned and administered by The Golden Beads Charitable Trust. We believe that every member of our community has a fundamental right to be treated with respect, regardless of age. Thank you for being part of our lives. Thank you for the love, kindness, nurturing and teaching that you’ve shown to our children. Your love, care, diligence and professional styles makes you some of the best teachers we have had any experience of. Amelia has thoroughly enjoyed her days with you and you will continue to hold a special place in our hearts. Bella has had a wonderful two years at Montessori thanks to the dedicated and passionate teachers at her pre-school. John and I have always been amazed (and proud) of how happy and confident Bella has become over the last couple of years. We are very grateful for the direction, development and growth that we have seen in our children while they have been at Montessori. A lot of the credit must go to you for the way you run your school. have some idea of their own life’s mission and be able to start to work towards this. 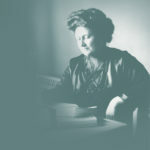 Maria Montessori was born on the 31st August 1870 in the town of Chiaravalle, Italy. Her father, Alessandro, was an accountant in the civil service, and her mother, Renilde Stoppani, was a well-educated woman who loved to read. 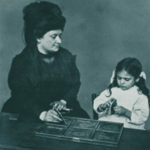 In 1875 the Montessori family moved to Rome and in 1876 Maria was enrolled in the local state school on the Via di San Nicolo da Tolentino. As her education progressed, she began to break through the barriers which constrained women’s careers.